The black LD Systems Roadbuddy 10 PC is designed to protect the Roadbuddy 10 battery-powered Bluetooth speaker. 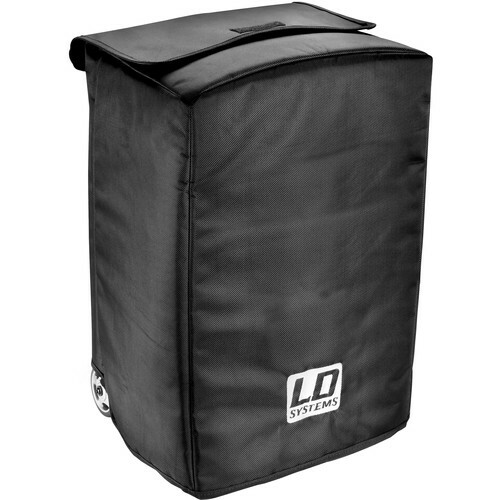 Made from water-repellent and abrasion-resistant ballistic 1680D nylon, the cover slips over the speaker and features a cutout for access to the speaker's built-in handle as well as a hook-and-loop fastener flap for accessing the telescopic handle. The cover's 5mm padding ensures the speaker is protected from knocks and bumps while on the go.